The cannabis industry is yielding amazing results for growers of the green plant and consumers alike. If you or someone you know is active in the industry, you might want to organize a trip to the Netherlands for the forthcoming High Times Cannabis Cup. Every year in November, thousands of people descend on the weed-friendly city of Amsterdam to indulge in the Cannabis Cup happenings. The world’s first and most famous cannabis festival, it was launched by Steven Hager back in 1988. Hager was inducted into the Counterculture Hall Of Fame in 2012 by none other than himself. He was the world’s first magazine editor to advocate and draw positive attention towards Jack Herer – a cannabis rights activist with his own strain named after him and a reputation that earned him the nickname, “Emperor of Hemp“. What is the point of the Cannabis Cup and what does the schedule include? Hager’s motive to found the Cannabis Cup was for a medley of reasons. Education, awareness, business, strain and product development – the list goes on. Last year saw various DJs playing live music at the event, while knowledgeable industry experts shared their opinions and educated attendees soaked up everything they were being fed. It’s not only entertainment you can see on the schedule at the show, which is a network for cannabis community members to enjoy celebrity appearances, expositions, product presentations, live seminars and concerts. What categories do the Cannabis Cup winners compete in? It all began when a group of stoner friends decided to establish the (now) globally-recognized event inside a small hotel room! Since the festival’s earliest roots, weed cultivators from all corners of the globe have been signing up to participate in the Cannabis Cup. Participants take the entire affair pretty seriously. After all, they are planting the seed that could potentially change their lives forever. An artisan-made gold trophy is bestowed upon winners, who will gain immense exposure in the cannabis industry upon receiving the award. Generally, the trophy exhibits a sleek gold design with a four-sided sturdy base and an elongated shiny stem that blossoms into a leaf-embellished cup. One of the most memorable cups was that of the 2000 festival, which featured an ‘Honor the Goddess’ theme. Who won the High Times Cannabis Cup in the past? The ‘Overall Cannabis Cup’ is not the same as, let’s say, the ‘Import Hash Cup’. The ‘Cannabis Cup’ is the ultimate trophy. The grand prize. A privilege, if you will. It is a shiny keepsake that every cannabis connoisseur wants to display in their trophy cabinet. For most winners, it is a platform for their career and an opportunity to gain exposure alongside other respected industry leaders. 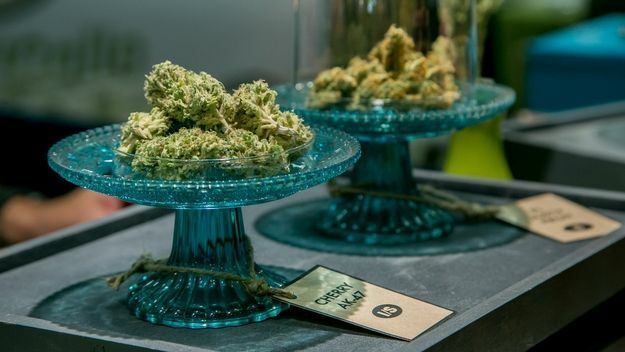 Since 1988, the cup has been awarded to numerous respectable companies in the cannabis industry, including Kosher Kush, De Dampkring and Barney’s Coffeeshop, the latter of which introduced Cookies Kush to the weed world back in 2014. 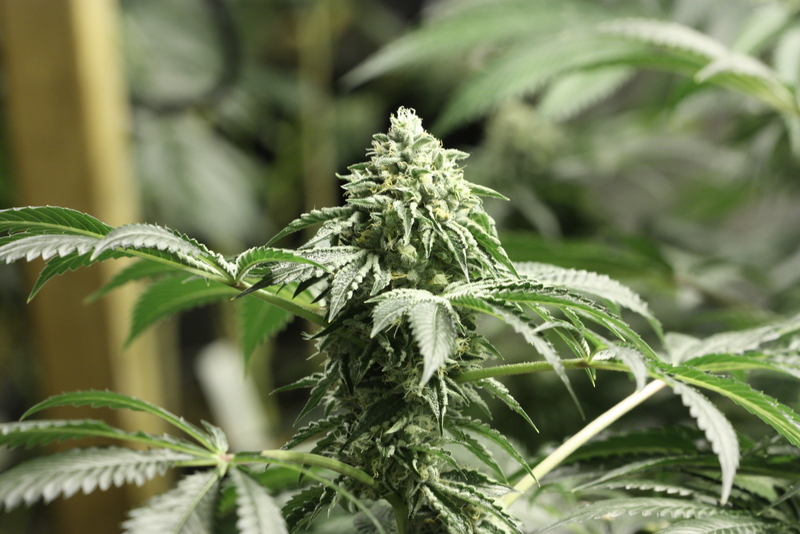 Generally, a number of factors sway the judges decisions, such as a plant’s flowering time, yield, THC/CBD content, etc. Let’s find out who some of the most memorable cup winners were and why their entries influenced the marijuana movement. Founded by a man named Sam Skunkman, this Cannabis Cup winner specializes in skunk-cross strains. In fact, Cultivator’s Choice was awarded a trophy at the very first festival to be held in 1988 with a strain called ‘Skunk #1.’ With its high yields, pungent flavor and powerful effect, there’s no wonder why the feminized favorite made such an impact on the marijuana industry. Winner of the 5th Cannabis Cup in 1992 with ‘Haze x Skunk #1,’ Homegrown Fantasy shut down in July 2014 as a result of being located too close to a school. Before this unfortunate event, the company produced an original high-quality Hybrid winner that still circulates today’s market. It provides users with a psychedelic Sativa high. This company is no stranger to being in the limelight, what with Sensi Seed Bank being crowned winner of the Cannabis Cup on more than one occasion. Pine-flavored ‘Haze x Northern Lights #5’ won the 6th cup in 1993 and the world-famous ‘Jack Herer’ strain won the 7th cup in 1994. At the 8th festival in 1995, Green House claimed the winning title for their ‘White Widow’ strain. This 60:40 Sativa/Indica strain is a resin-heavy hybrid that dominates the cannabis selection at Amsterdam’s many coffee shops. It may relieve depression, muscle spasms and bipolar disorder with its uplifting high and earthy aroma. If you were present at or read about the 2000 High Times Cannabis Cup, you would have probably heard about The Noon for the very first time. They created a buzz with their Hybrid strain, ‘Blueberry Haze,’ which has chunky nuggets of crystal-coated goodness. Perhaps it was the sedative effects that helped this strain gain momentum or the fact that it tastes spicy, yet sweet! 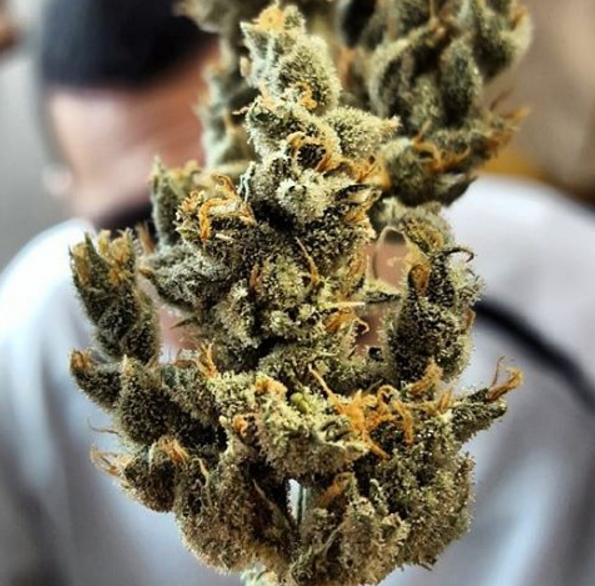 Offering some of the most potent cannabis strains, Homegrown Fantaseeds entered the Cannabis Cup in 2004 and won with ‘Homegrown Cheese’ – a best-seller. This strain has a skunky aroma and a pleasant, fruity flavor. 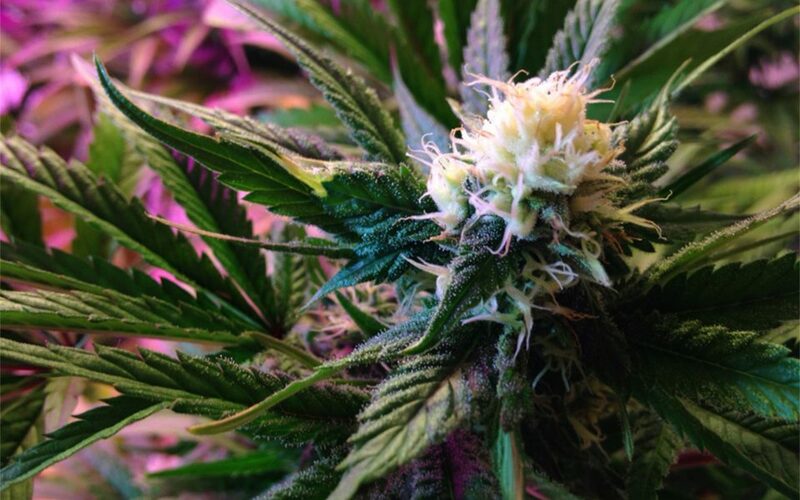 Merged with the genetics of an Afghan genotype, it yields up to 450g per plant! It was in the year 2013 that this Cannabis Cup winner really scored. The coffee shop’s ‘Tangie’ strain was awarded ‘Best Coffeeshop Flowers’, while ‘Tangie Wax’ won ‘Best Nederhash’ and ‘Maroc Lemon Haze’ won ‘Best Import Hash’. Planning a trip to Amsterdam? Make sure you sample award-winning strains inside the cannabis store at the city center. In 2016, this award-winning strain creator won ‘Best Medical Indica Concentrate’ with Crown OG Live Resin Sugar, ‘Best Medical Sativa Concentrate’ with Strawberry Crown Live Resin Crumble and ‘Best Medical Hybrid Flower’ with Dizzy OG. The respected flower brand is committed to creating genetically-appealing cannabis varieties. 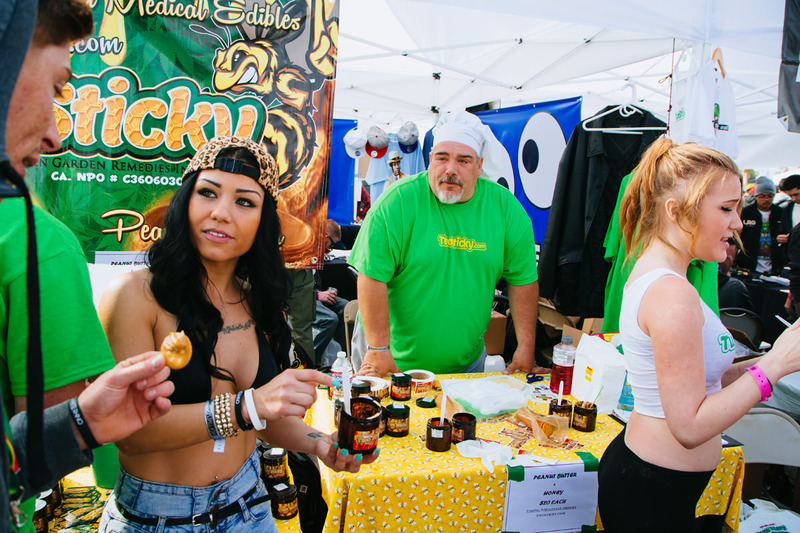 When will the next Cannabis Cup take place? Why not join fellow bud masters at the 2018 Cannabis Cup? Returning for yet another year, the leading marijuana trade show will not be limited to just Amsterdam. Taking place in various locations, including Jamaica from March 1-4 and Spain during summertime. Attendees will have the opportunity to enter, sponsor or buy a booth at the event. Buy tickets online now to secure your place at one of the most eagerly anticipated events this year. Who knows… you might find yourself clutching the trophy! Opt for a Single Day Pass (€50) to gain entry to a party on your chosen day, or enjoy four full days and nights of coffee shop exploring and parties with a Judges Pass (€200). For more information, sign up to our newsletter on the right.